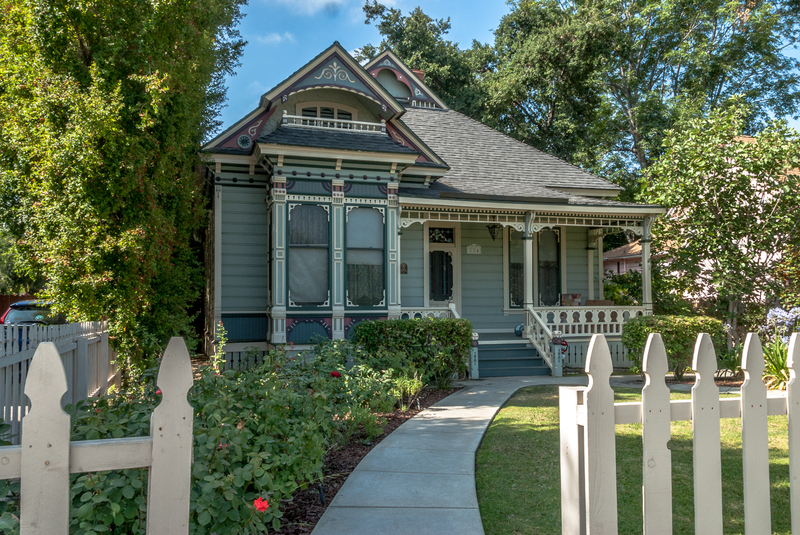 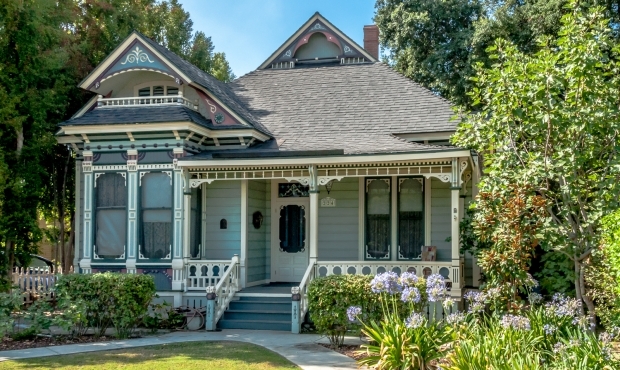 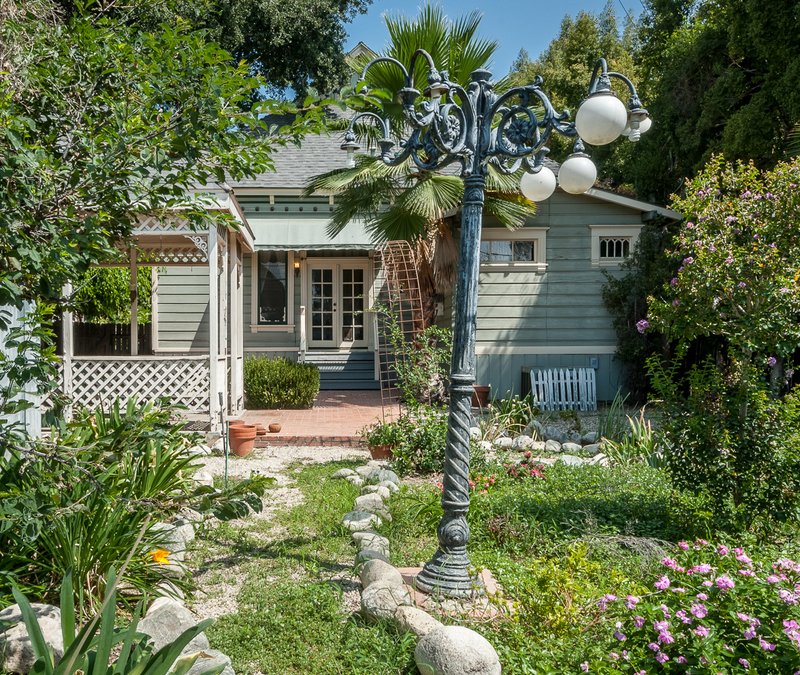 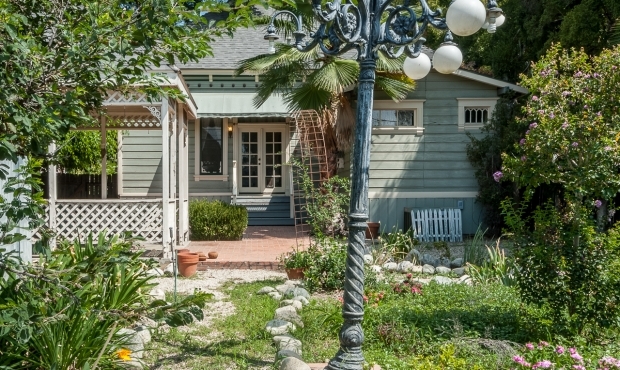 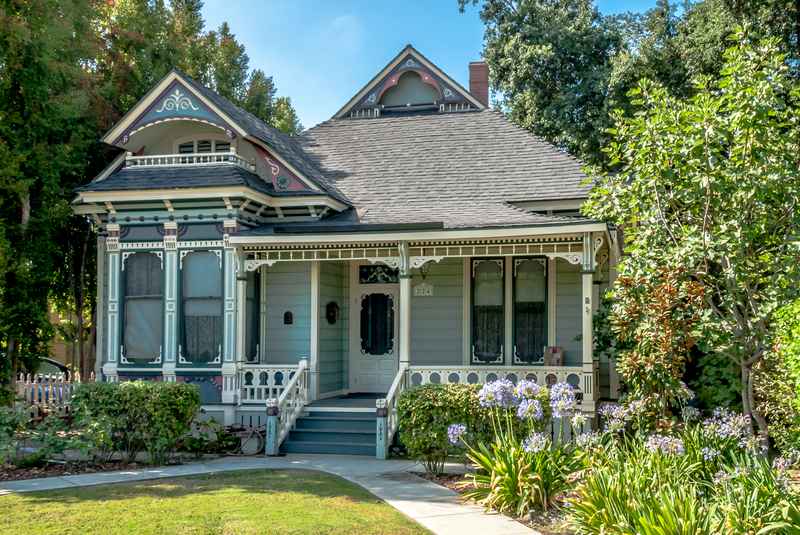 This amazing 1887 Queen Anne Victorian cottage surrounded by a white picket fence is The Stevenson House and is City Historic Landmark #83, offering significant property tax savings through the Mills Act Contract. 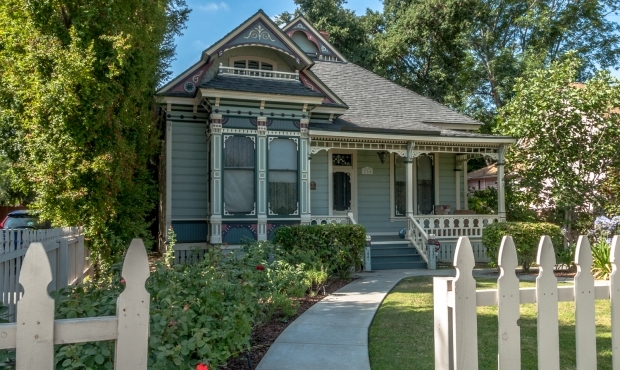 The exterior redwood siding & sawn a nd turned decorative work have been painted in an authentic 7-color Victorian palette. 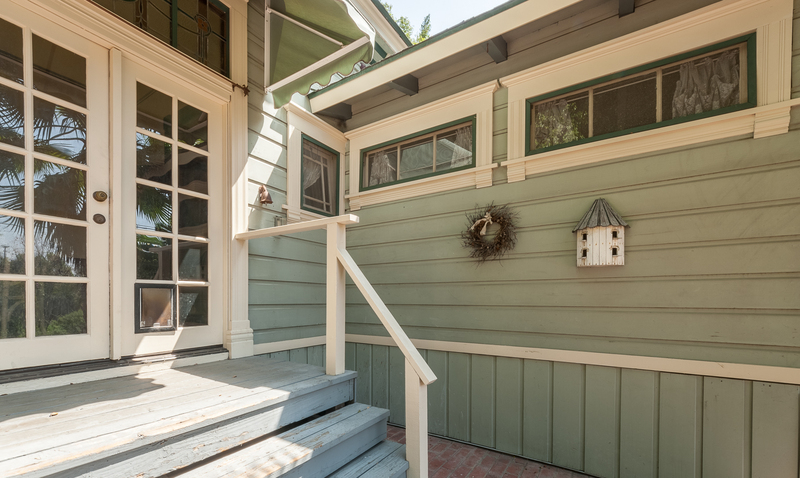 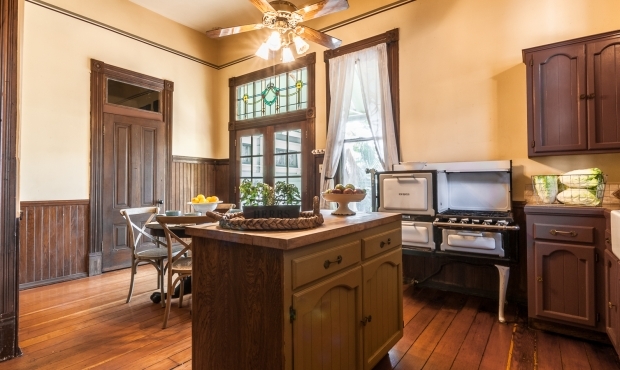 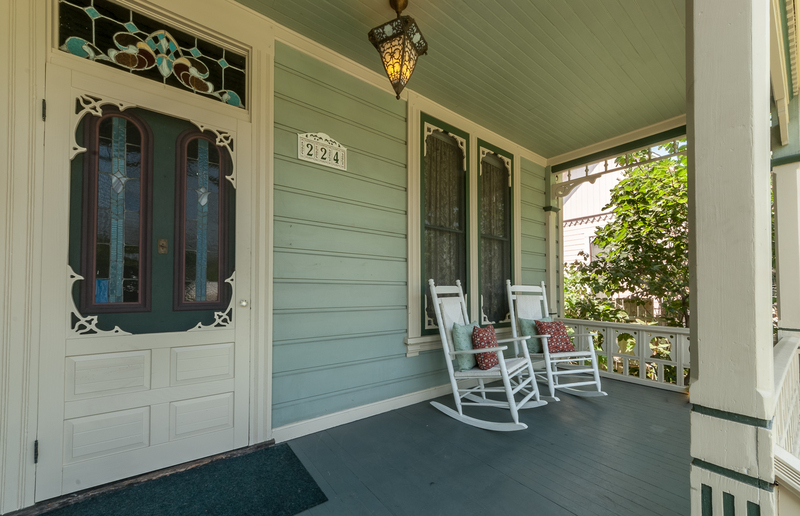 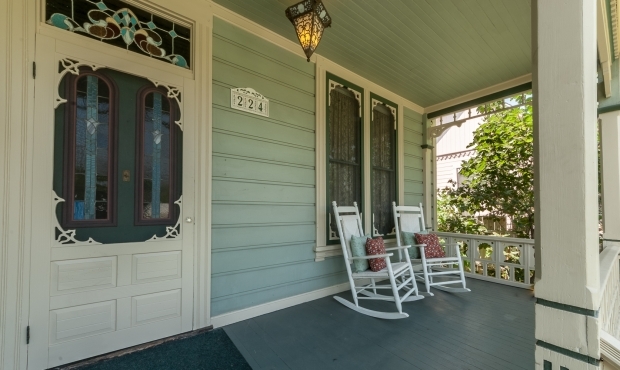 The front porch features stick & ball pattern woodwork, beadboard ceiling & spindle gallery. 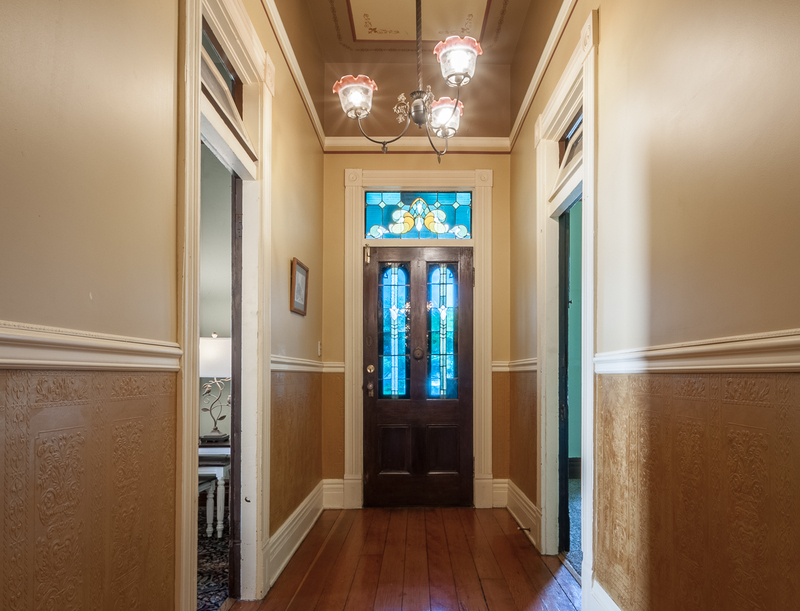 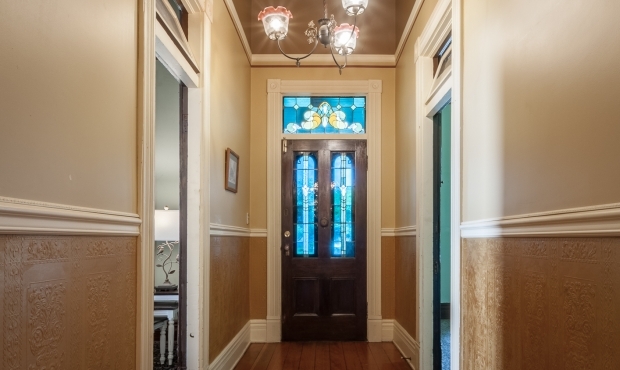 Inside the stained glass front door you’ll find 12’ ceilings & a hallway with anaglypta wallpaper, chair rail & period fixtures. 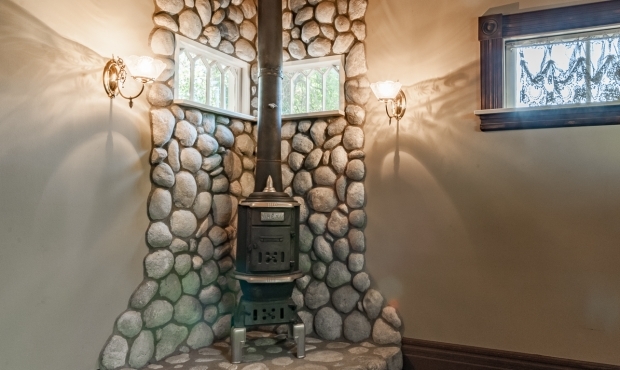 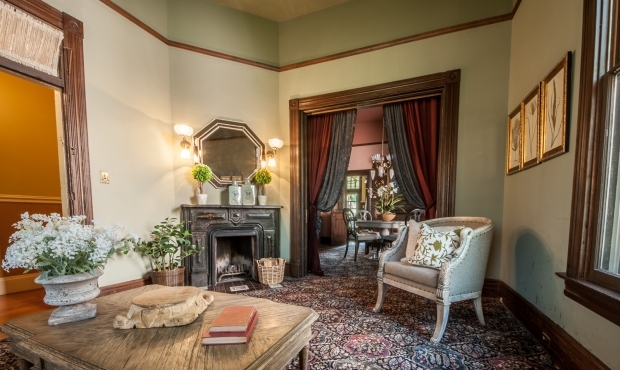 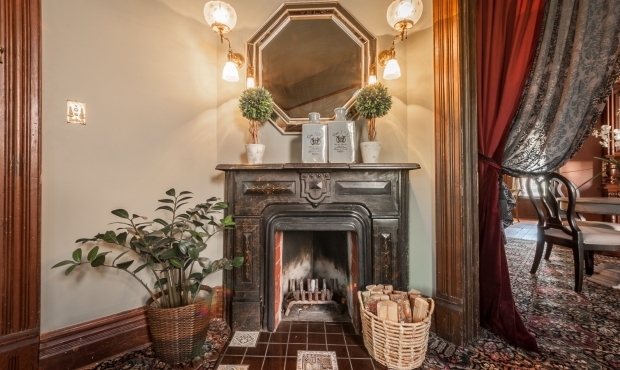 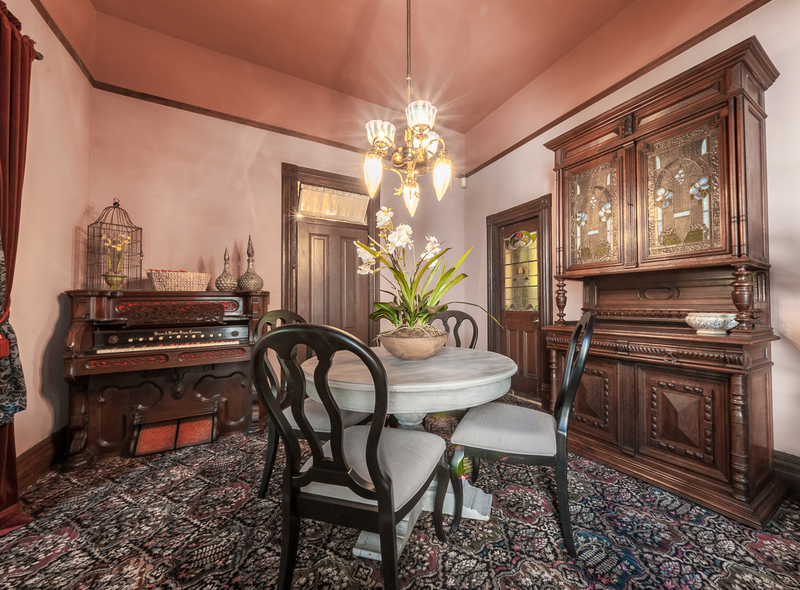 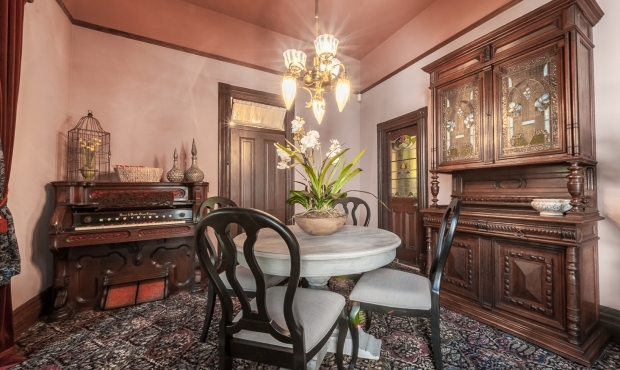 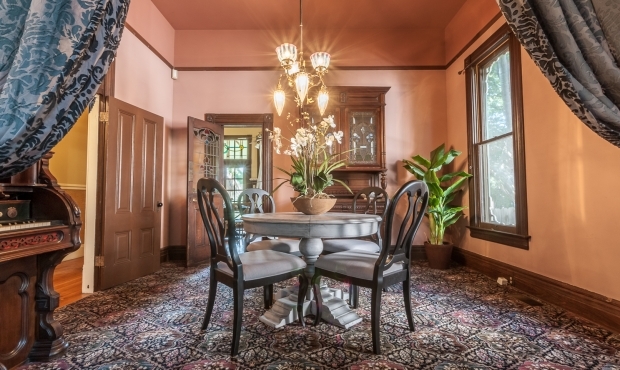 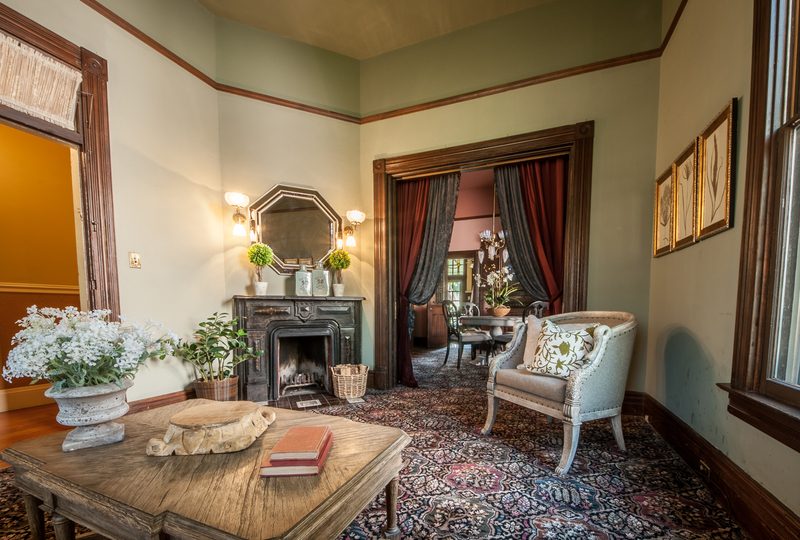 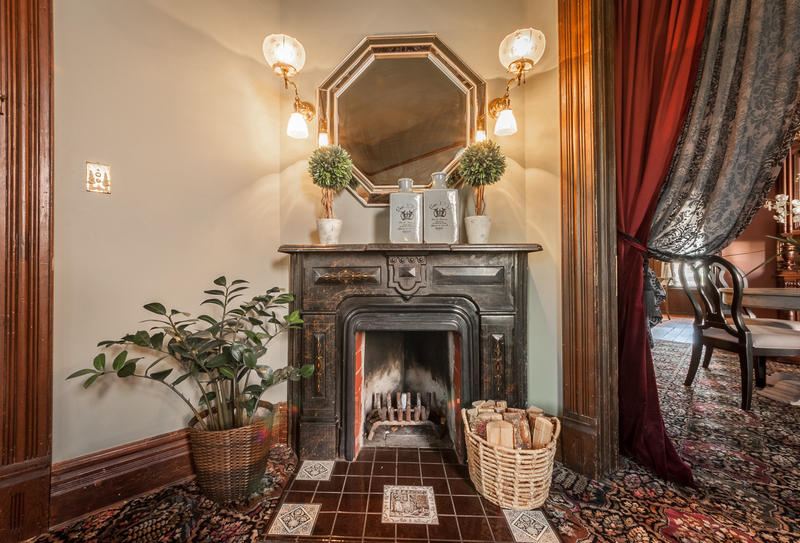 The parlor has period carpeting & the original fireplace with faux marble mantel and Minton & Wedgewood tile hearth. 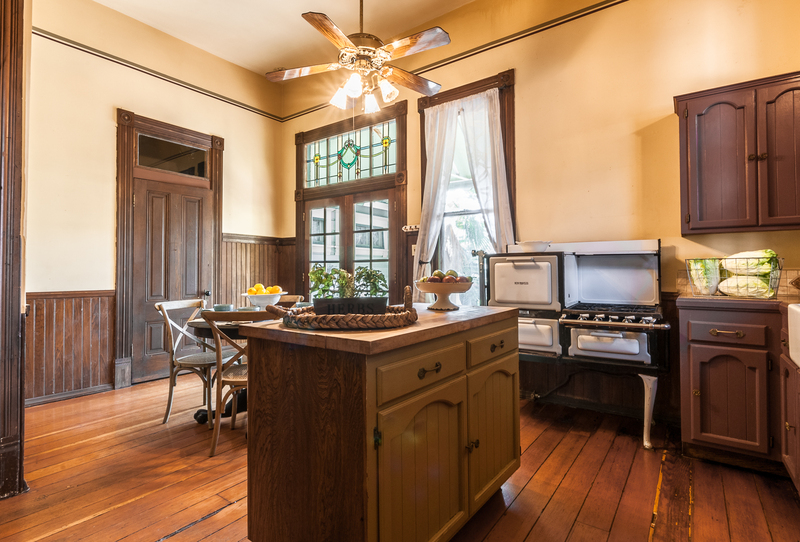 Pocket doors lead to the XL formal dining room with period chandelier, high baseboards & leaded glass door to the expansive kitchen, where you’ll find a 1910 stove, center island, shaker cabinetry, large eating area, ceiling fan, period hardware & fixtures, and French doors with stained glass. 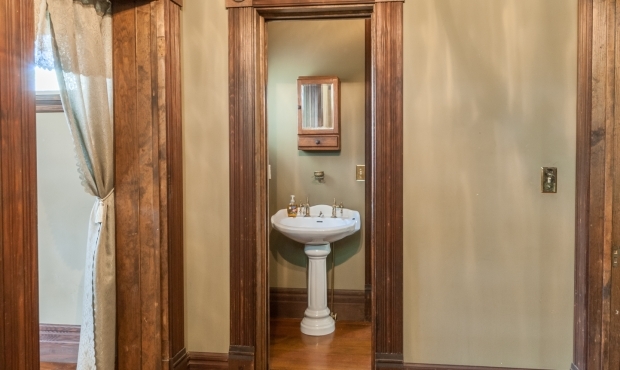 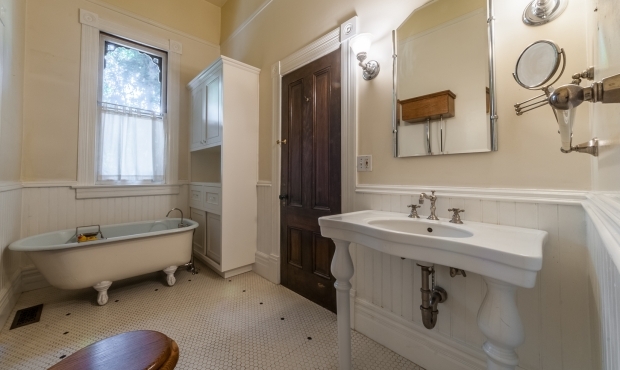 The main bathroom boasts column sink, hexagonal flooring, claw-foot tub & pull-chain toilet. 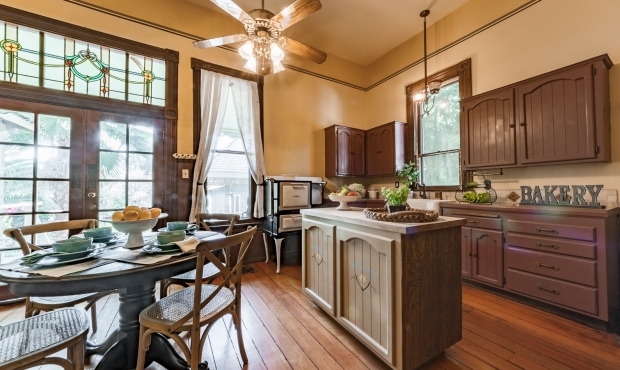 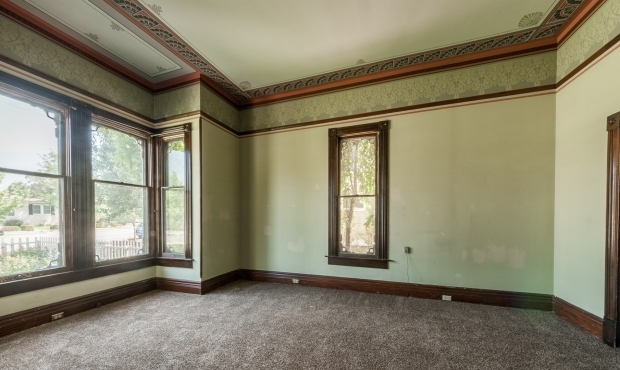 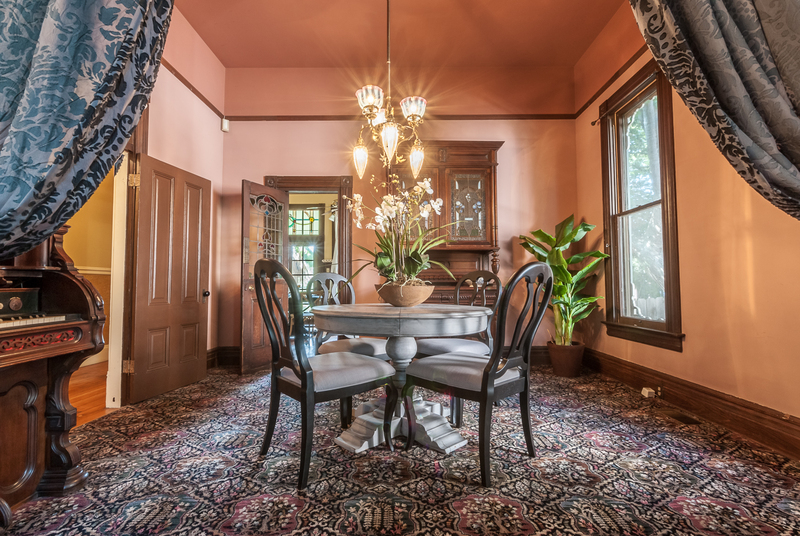 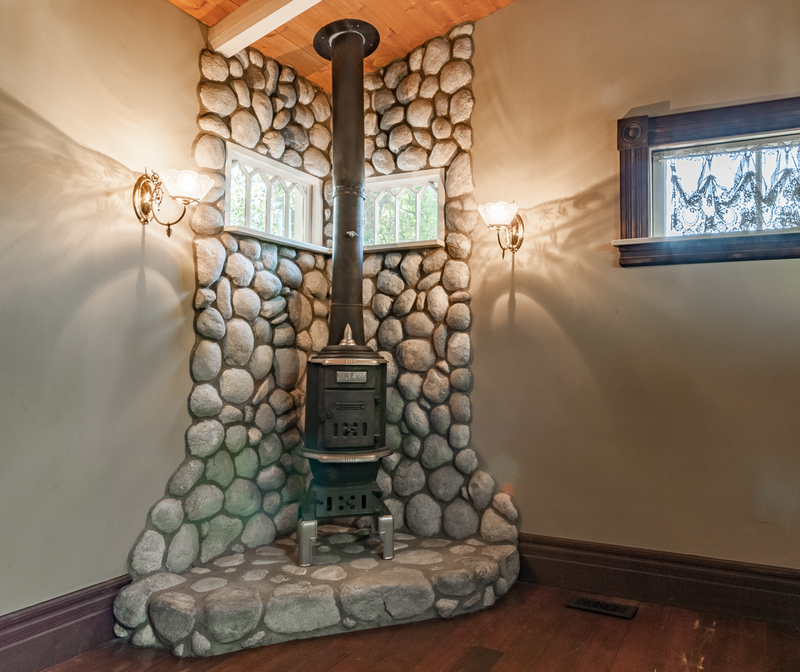 Other interior features include hand stenciling, transom windows, period wallpaper, picture frame molding, pocket doors, tall windows throughout & Douglas fir flooring. 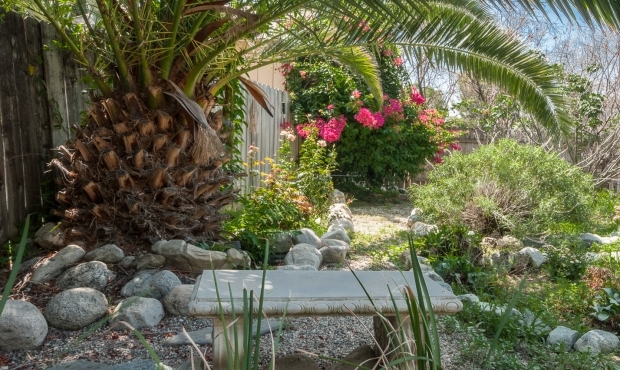 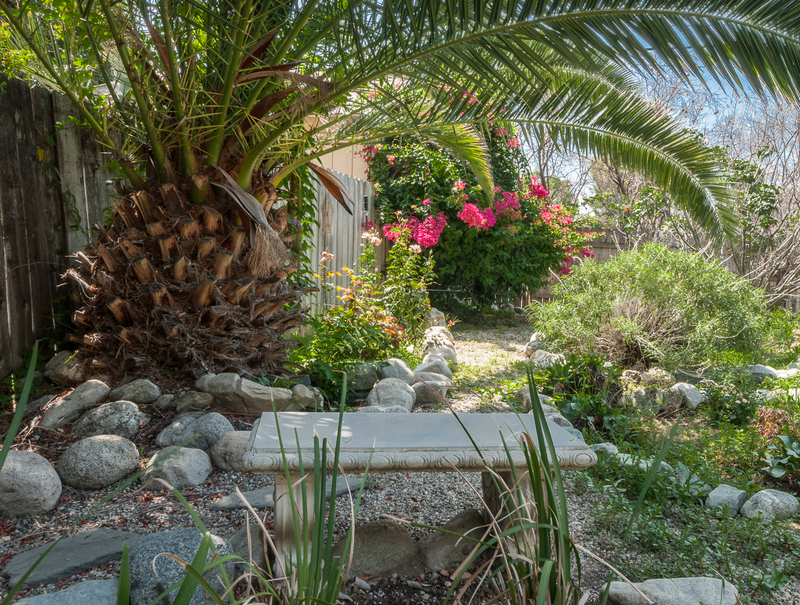 Out back is an English garden setting with meandering pathways & gazebo. 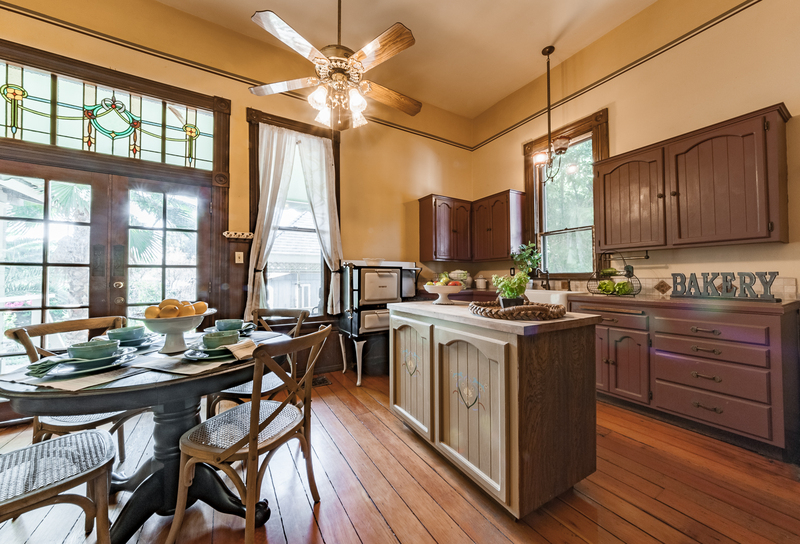 C/A & heat. 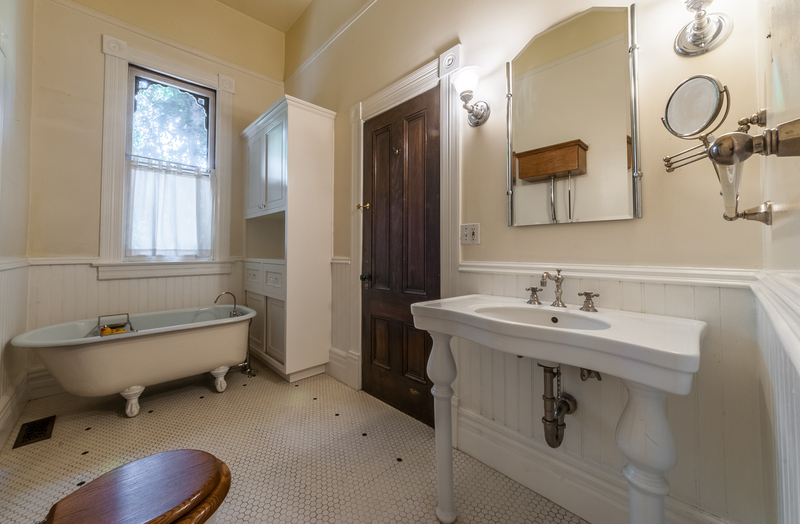 Some updated plumbing & electrical.